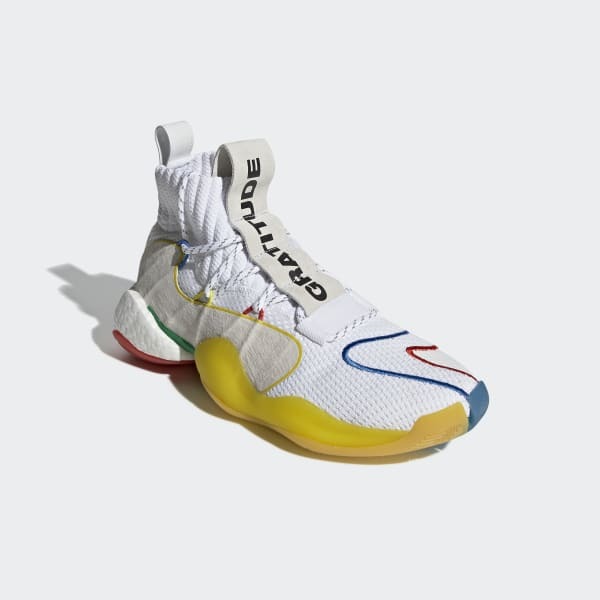 A premium edition of Crazy BYW style, created with Pharrell Williams. Worn by legendary B-ball players, this '90s-era design featured a look so unconventional that it was called Crazy. 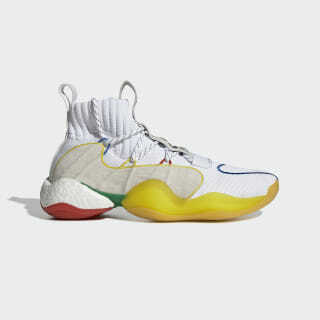 Its descendant, the Crazy BYW, combines retro style with innovative cushioning. This Pharrell Williams Hu version has a textile upper and Boost midsole pods that give you energy return and a comfortable feel. Inside is a Pharrell signature sockliner inspired by the ancient art of reflexology.